Today, many people in Western-based cultures refer to this holiday as “Christmas.” Yet a look into its origins of Christmas reveals its Pagan roots. Emperor Aurelian established December 25 as the birthday of the “Invincible Sun” in the third century as part of the Roman Winter Solstice celebrations. Shortly thereafter, in 273, the Christian church selected this day to represent the birthday of Jesus, and by 336, this Roman solar feast day was Christianized. January 6, celebrated as Epiphany in Christendom and linked with the visit of the Magi, was originally an Egyptian date for the Winter Solstice. 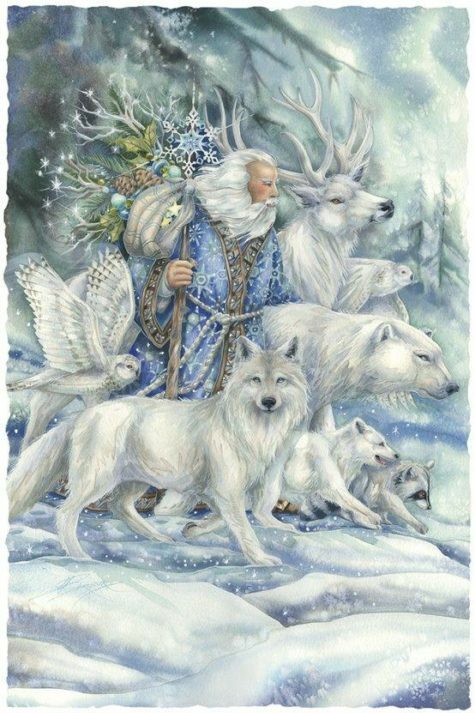 Most of the customs, lore, symbols, and rituals associated with “Christmas” actually are linked to Winter Solstice celebrations of ancient Pagan cultures. While Christian mythology is interwoven with contemporary observances of this holiday time, its Pagan nature is still strong and apparent. 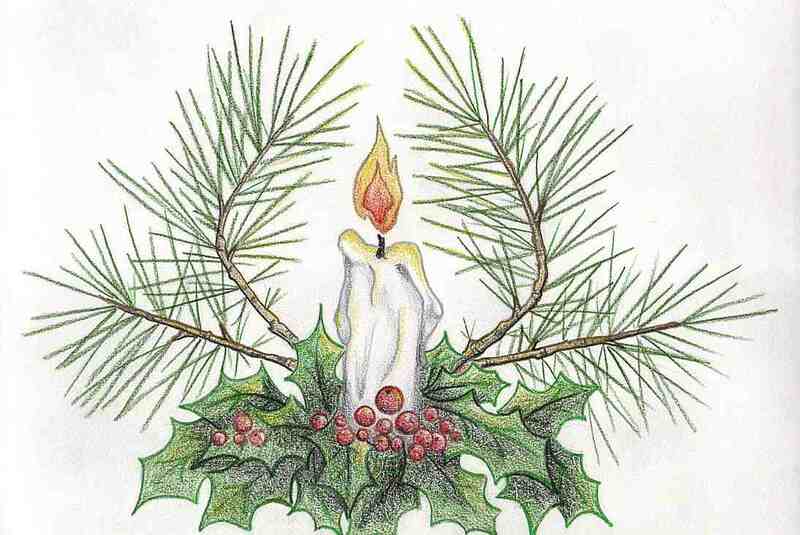 Pagans today can readily re-Paganize Christmastime and the secular New Year by giving a Pagan spiritual focus to existing holiday customs and by creating new traditions that draw on ancient ways. Here are some ways to do this: Celebrate Yule with a series of rituals, feasts, and other activities. In most ancient cultures, the celebration lasted more than a day. The ancient Roman Saturnalia festival sometimes went on for a week. 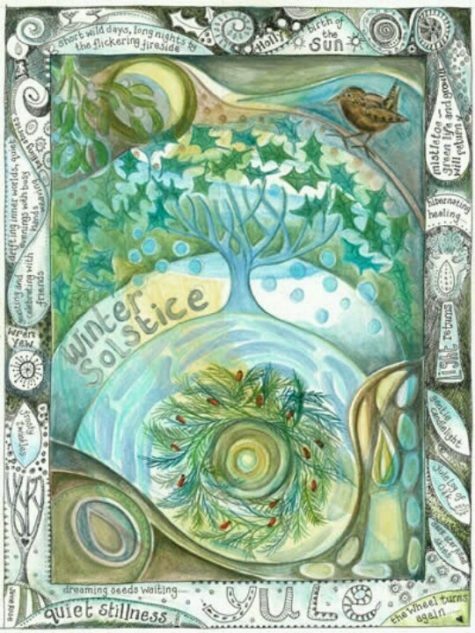 Have Winter Solstice Eve and Day be the central focus for your household, and conceptualize other holiday festivities, including New Year’s office parties and Christmas visits with Christian relatives, as part of your Solstice celebration. By adopting this perspective, Pagan parents can help their children develop an understanding of the multicultural and interfaith aspects of this holiday time and view “Christmas” as just another form of Solstice. Have gift exchanges and feasts over the course of several days and nights as was done of old. Party hearty on New Year’s Eve not just to welcome in the new calendar year, but also to welcome the new solar year. Adorn the home with sacred herbs and colors. Decorate your home in Druidic holiday colors red, green, and white. Place holly, ivy, evergreen boughs, and pine cones around your home, especially in areas where socializing takes place. Hang a sprig of mistletoe above a major threshold and leave it there until next Yule as a charm for good luck throughout the year. Have family/household members join together to make or purchase an evergreen wreath. Include holiday herbs in it and then place it on your front door to symbolize the continuity of life and the wheel of the year. If you choose to have a living or a harvested evergreen tree as part of your holiday decorations, call it a Solstice tree and decorate it with Pagan symbols. Convey love to family, friends, and associates. At the heart of Saturnalia was the custom of family and friends feasting together and exchanging presents. Continue this custom by visiting, entertaining, giving gifts, and sending greetings by mail and/or phone. Consider those who are and/or have been important in your life and share appreciation. Santa’s reindeer can be viewed as forms of Herne, the Celtic Horned God. Decorate your home with Santa images that reflect His Pagan heritage. Honor the new solar year with light. 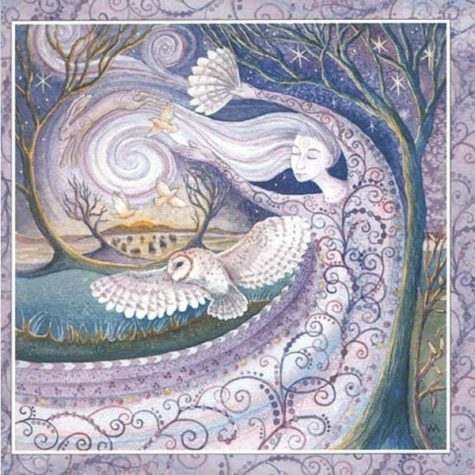 Do a Solstice Eve ritual in which you meditate in darkness and then welcome the birth of the sun by lighting candles and singing chants and Pagan carols. If you have a indoor fireplace or an outdoor fire circle, burn an oak log as a Yule log and save a bit to start next year’s fire. Decorate the inside and/or outside of your home with electric colored lights. Because of the popularity of five pointed stars as holiday symbols, this is a good time to display a pentagram of blue or white lights. Contribute to the manifestation of more wellness on Planet Earth. Donate food and clothing to poor in your area. Volunteer time at a social service agency. Put up bird feeders and keep them filled throughout the winter to supplement the diets of wild birds. Donate funds and items to non-profit groups, such as Pagan/Wiccan churches and environmental organizations. Meditate for world peace. Work magic for a healthier planet. Make a pledge to do some form of good works in the new solar year. well …its show the pseudo pagan link.pseudo pagan/wiccan theme ruined story of ancient origins. ”chrismass” just a word. holly church renamed winter festive time in ”christ mass” in 4 c.